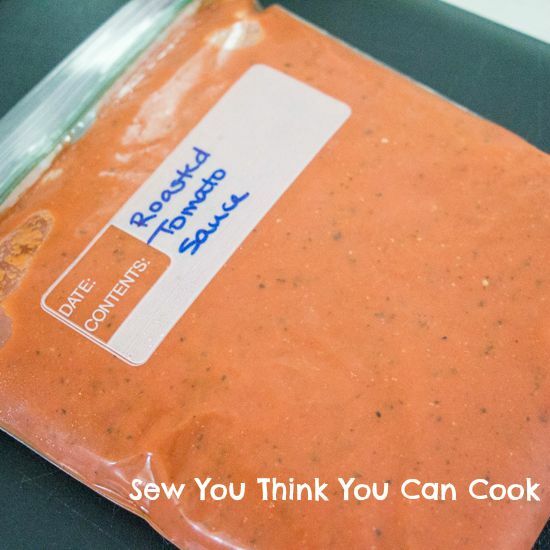 If you have an over abundance of tomatoes like so many of my friends do, you’re probably looking for ways to preserve them (or simply pawning them off on anyone you see walking down the street). I don’t personally have this “problem” because I don’t have a garden. I don’t know if I’ll ever have a garden – both my husband and I have black thumbs. Maybe some day I’ll give it an attempt? In 6 years? My generous neighbors handed me a shopping bag full of freshly picked roma tomatoes so I decided to make a simple sauce for my lasagna. When I say simple, I mean simple! 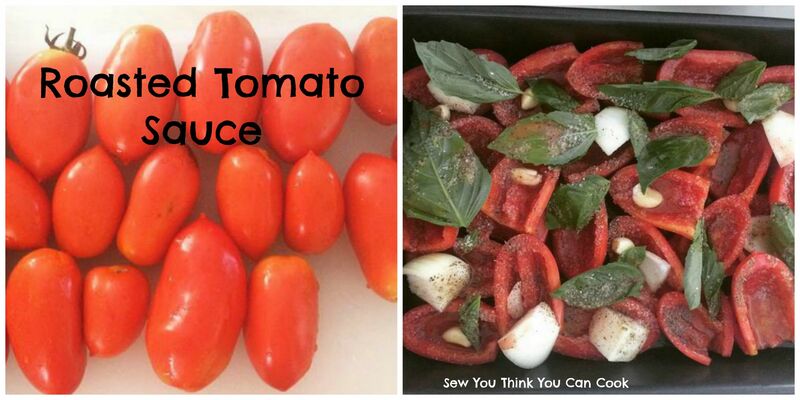 There’s no peeling of the tomatoes required! Simply slice the tomatoes in half and remove the innards, strain the juice, toss them in a pan with some basil, onion, garlic, olive oil, and the reserved juice. Roast and puree. That’s it! This recipe makes approximately 1 qt tomato sauce. Stem tomatoes and cut them in half. Remove the seeds and strain out the juices. Place tomatoes in a 9×13 casserole dish or cake pan. Distribute garlic cloves among the tomatoes. Peel and roughly chop the onion, add to the tomatoes. Add the basil leaves. Season generously with S+P. Pour the reserved tomato juice into the pan. Drizzle with a little olive oil. I’ve been learning to using more Greek Yogurt in things and this bread sounds wonderful. Great choice. Yumm! We just got a TON of tomatoes when we went to the apple orchards over the weekend – I made a batch last night of tomato sauce slow cooked stove top, but love the idea of a roasted version too. It’s a quick alternative 🙂 and quite delicious, too.